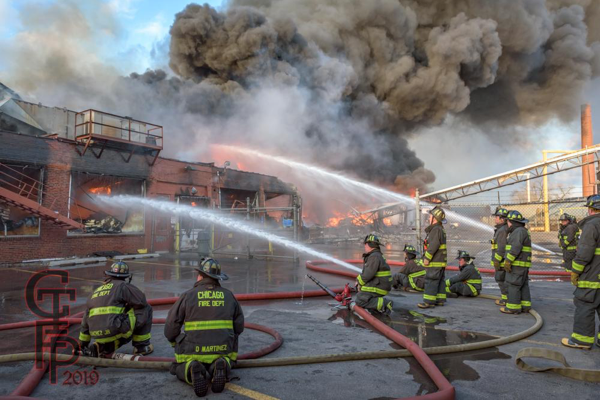 We took in the extra alarm fire last week on the westside of Chicago. 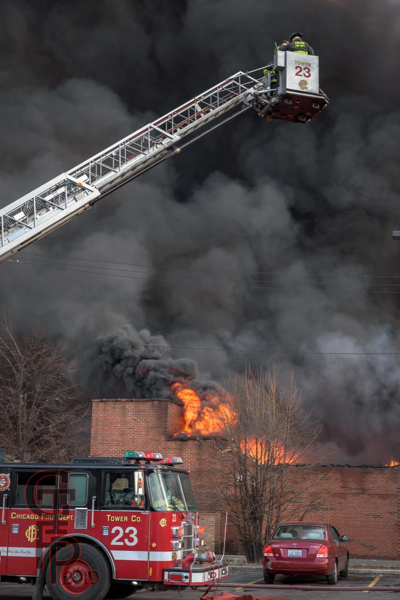 It was a food manufacturing warehouse and the first-in companies encountered heavy fire on their arrival. 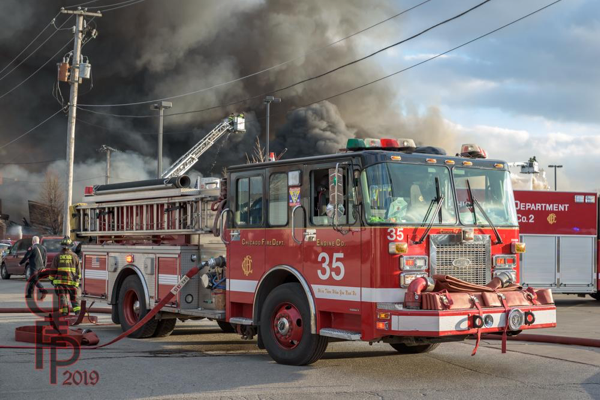 A lot of in-line pumping operations took place at this job which required many resources, which at the peak of the fire, made it to a 5-11 and 4 Specials. 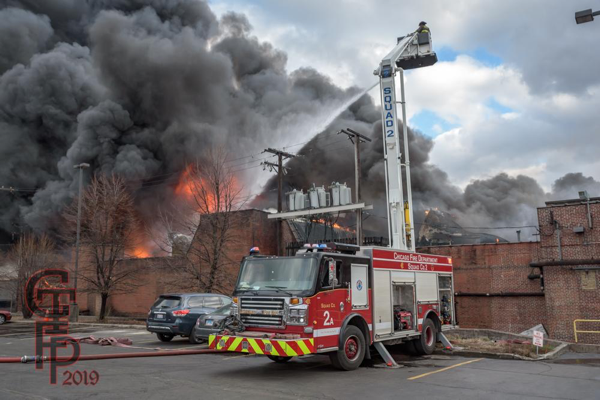 Twenty two engines, ten trucks including four tower ladders, Squad 2, plus a plethora of special equipment responded to this. We got to this about an hour into the fire. 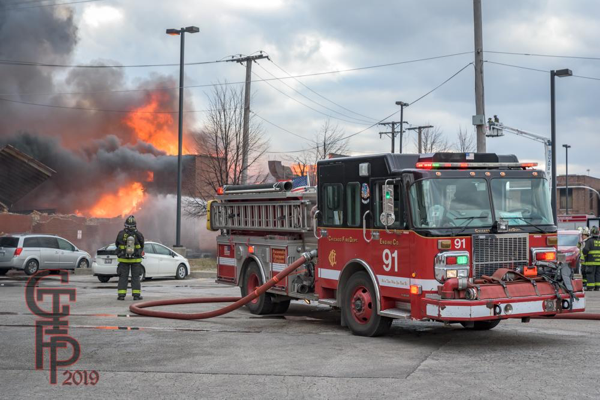 Chicago firefighters were called to 2501 N. Keeler Avenue Monday afternoon (4/2/19) for a fire in a commercial food plant. 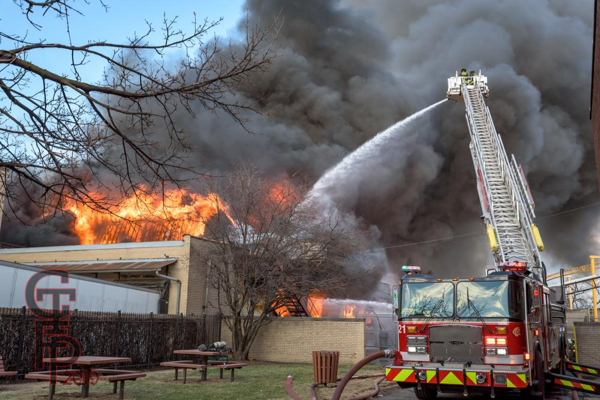 When companies arrived, the fire was already in an advanced stage and burning in the center section of a long building with a sawtooth roofline. The alarm was eventually upgraded to a 5-11 and kept companies busy until late into the night. Some units were at the scene overnight and into t he next day.